Here in North America, Sunday night and early Monday, January 20-21, you have your last chance to photograph the last total lunar eclipse until 2021. This article will show you how. The full moon in January is the Wolf Moon, whether or not there is an eclipse of the moon. Super moon is a new, non scientific term to refer to a full moon when the moon is closest to the earth (perigee) and is somewhat large in size and somewhat brighter. To the naked eye (for most untrained observers) a super moon doesn’t look any different than any other kind of full moon. Super moons are not rare. 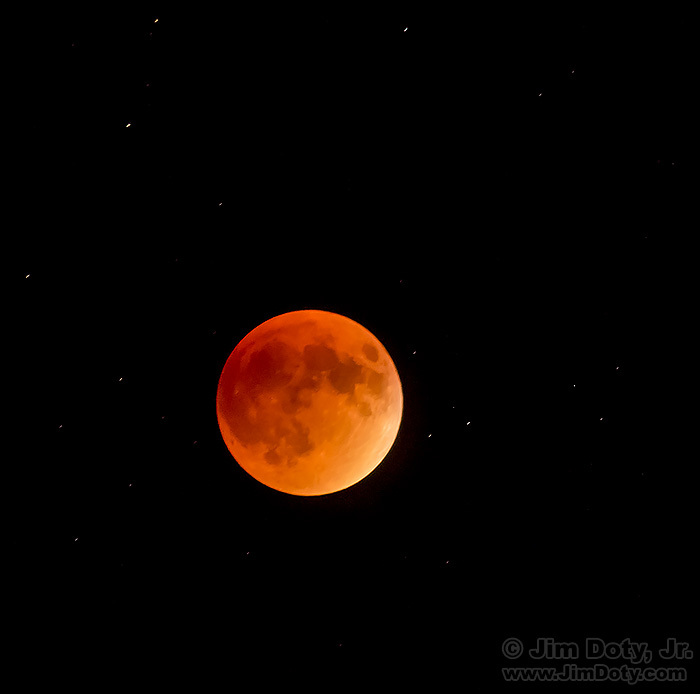 Blood moon refers to the yellow-orange-copper color of the moon during eclipse totality. This happens with almost all lunar eclipses unless there are unusual atmospheric circumstances. The intensity of the color varies with each eclipse, due to the amount of moisture and dust particles in the air. The terms super moon and blood moon are mostly used as a modern form of hype to promote eclipse watching. Some people flood the internet with weird super moon, blood moon, and blue moon memes with no basis in scientific fact and sometime outright nonsense (“once in a lifetime”, “first time in 300 years”, “this super blood moon will activate the psychic powers of your liver”). And finally, super moon and blood moon are used by some people to promote religious prophecies, usually of impending doom. 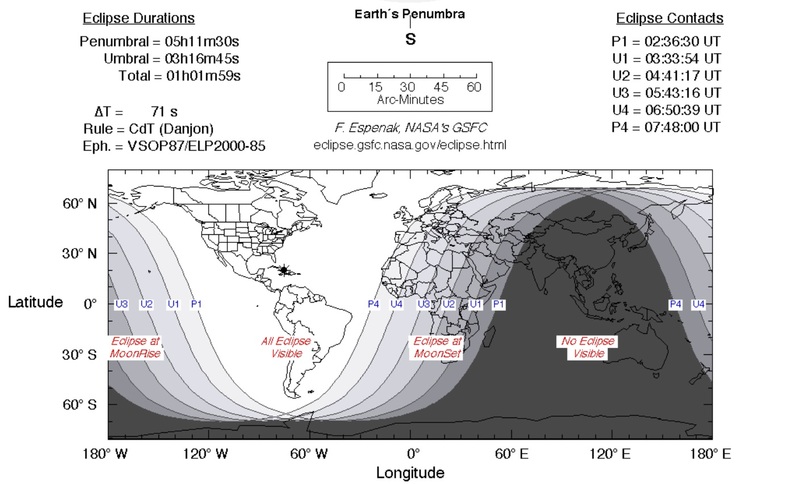 Eclipse visibility map and eclipse times. You will be able to see the entire eclipse from anywhere in North America. 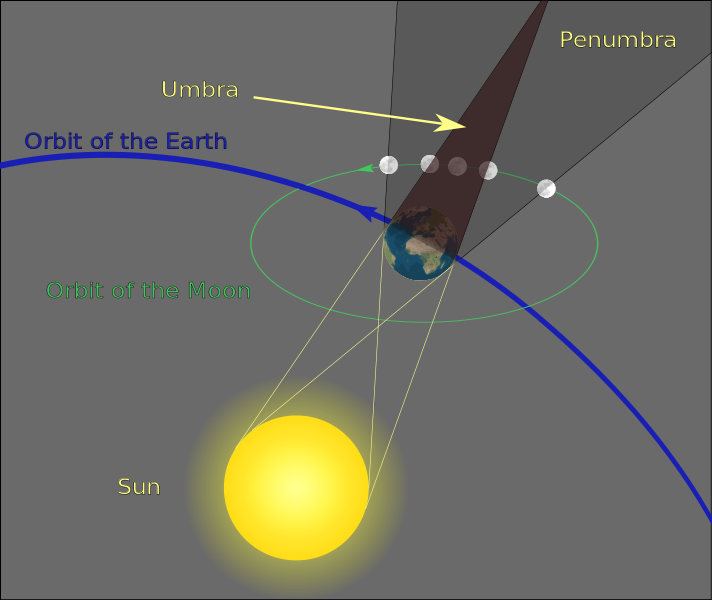 Unlike a solar eclipse where the moon’s shadow races across the continent and the eclipse happens at different times, the earth gradually blocks sunlight on the moon’s surface at the same time everywhere as the moon passes into the penumbra and then into the umbra and totality. Here are the times for the phases of the eclipse for North American time zones as provided by Earth and Sky. You will need a camera with a long lens. 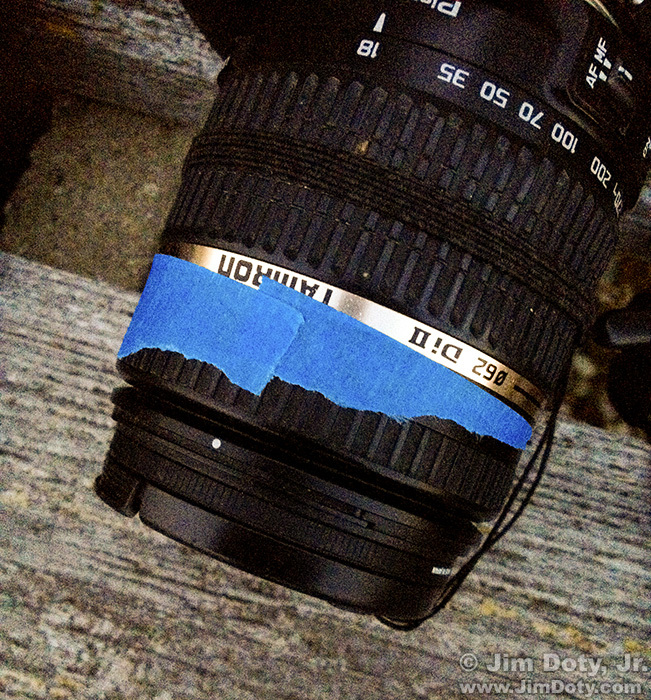 The longer the focal length of your lens, the bigger the moon will be. If you have a lens that is 200-400mm in focal length or longer you will get a relatively nice sized moon. The effective 35mm focal length of the image above was 456mm (285mm focal length on a camera with a 1.6X field of view crop). Much shorter than 200mm and the moon will look disappointingly small compared to the nice eclipse photos you see online and in magazines. If you don’t have a long lens, you can still take eclipse photos by making them more about the night that just happens to have a small, yellow-orange moon in the photo. Techniques for all lunar eclipses are pretty much the same, super moon or not. 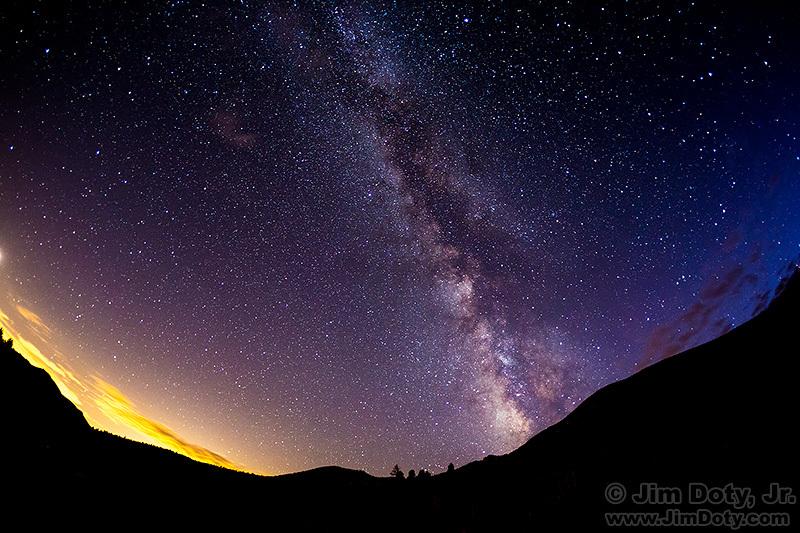 This entry was posted in General, Metering, Photographs, Using Equipment by Jim. Bookmark the permalink.